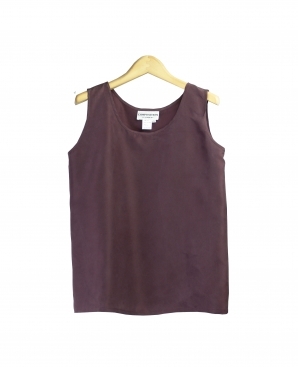 This habotai silk tank top is comfortable, soft, and perfect for summer. This comforble tank top can work beautifully with any jacket. Hand-wash or dry clean for best results. Available in 4 colors: Champagne, Eggplant, Fuchsia, Gray and Olive.